OPPO, a leading global technology brand kick-started the First Sale of Selfie Expert OPPO F1s at the OPPO showroom in New Gandhi Nagar, Ghaziabad today. The First Sale was kick-started by none other than the tinsel town’s gorgeous models Kainaat Arora & Gizelle Thakral. 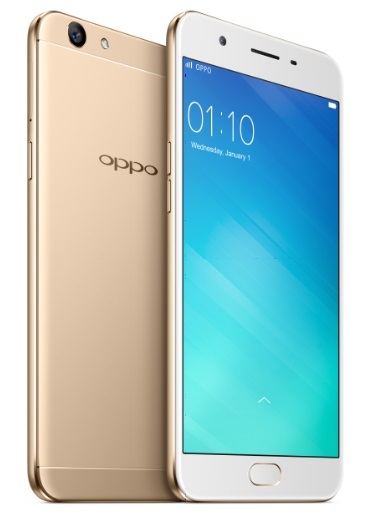 Taking selfies a step further, the much awaited upgraded Selfie Expert OPPO F1s was recently launched in the Indian market. Pre-orders were taken across India from August 4 to August 10. A feature packed product at a price of Rs 17,990, The F1s uses a 16 MP front camera providing high dynamic range and minimizing noise, so that pictures come out with a vivid depth and detail. The F1s is your personalized selfie expert with the latest beautification feature – Beautify 4.0. The front camera and the beautification feature together help you click perfect selfies. With seven beautify levels, two skins tone modes and upgraded photo-processing algorithms, Beautify 4.0 is optimized to capture selfies with bright, clear skin, vivid eyes and striking features. The F1s is not just about great selfies and photography but is backed with powerful hardware to ensure a flawless experience. It cruises on an Octa-core processor with 3GB RAM and 32GB ROM with an industry leading 0.22s fingerprint reader. The triple-slot card tray gives space for two Nano 4G SIM cards and an SD card to expand the storage space by up to 128 GB. With such upgrades, your experience with the all-new Selfie Expert F1s will be faster, smoother and steadier. After the successful launch of OPPO F1s, the company will also be launching a new campaign titled “Review Selfie Expert OPPOF1s to win” for OPPOF1s users on the company’s website to bring all the selfies experience at one place. With the objective to engage with the OPPO F1s customer and create word of mouth for the new product, this campaign will be live from 11th Aug to 9th September.As part of this campaign the OPPO F1s users would be required to submit their reviews/feedback/selfie experience on the microsite as well as on the social media. All the entries will be visible on main page of the microsite, so that all the visitors can check the feedbacks and selfies quality reviews shared by other reviewers as well. Top five winners 5 People will get a chance for a SelfiePhotoshoot by none other than Ace Photographer, DabbooRatnani.